Was it the fine pottery itself, or the artisans who made it, that moved around the Baltic Sea region during the Corded Ware Culture of late Neolithic period? Are the archaeological artefacts found in Finland imported goods or were they made out of Finnish clay by artisans who had mastered the new technology? These are the questions researchers are trying to answer in the most extensive original study of archaeological ceramics ever undertaken in the Nordic countries. 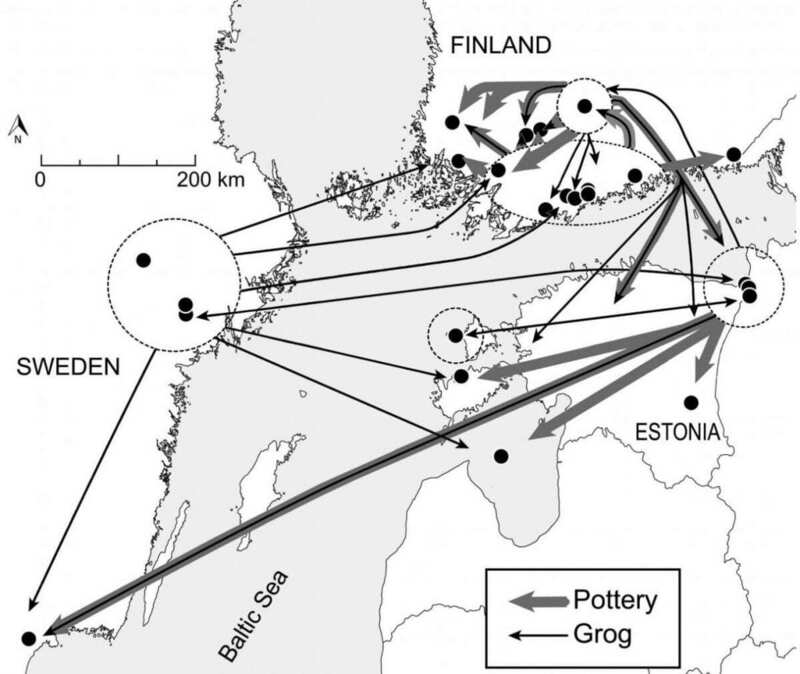 Researchers mapped the arrival routes of pottery and people representing the Corded Ware Culture complex (c. 2900-2300 BCE) into the Nordic countries by identifying the areas where the pottery was made. Corded Ware pottery was very different from earlier Stone Age pottery. It represented a new technology and style, and as a new innovation, used crushed ceramics — or broken pottery — mixed in with the clay. Finland, Estonia and Sweden had at least five different manufacturing areas for Corded Ware pottery which engaged in active pottery trade across the Baltic Sea approximately 5000 years ago. Häme in Southern Finland had a manufacturing hub of Corded Ware pottery which can be described as quasi-industrial in Neolithic terms, and spread its products along the Finnish coast and into Estonia. Traditionally, Swedish archaeologists have assumed that Corded Ware pottery arrived in Sweden from the south. However, it now seems clear that that eastern influences were particularly fashionable during the Neolithic, and both pottery and people belonging to this culture arrived first in Eastern Sweden from Finland and Estonia. This was not a one-way one-time event: There were many active contacts in all directions across the Baltic Sea during the period, shown by the fact that pottery that was manufactured in Sweden over time turn up in Finland and Estonia. In traditional societies it is usually women who are in charge of the pottery craft and it is also common for women to relocate upon marriage. Corded Ware burials show that females were more likely to receive pottery as burial gifts, and analyses from European cemeteries show that the women were more likely to relocate during their lifetime. It is likely that the first Corded Ware Culture artisans to arrive at the Fenno-Baltic and Swedish coasts were women who had learned their craft at their place of birth. They would have begun to use the clay available at their new home, but they mixed it with crushed pieces of pottery they had brought with them. Perhaps this was a way to preserve the older pottery which had been made in their previous homelands, thus maintaining a symbolic connection to their families and the members of their former communities in their everyday lives. 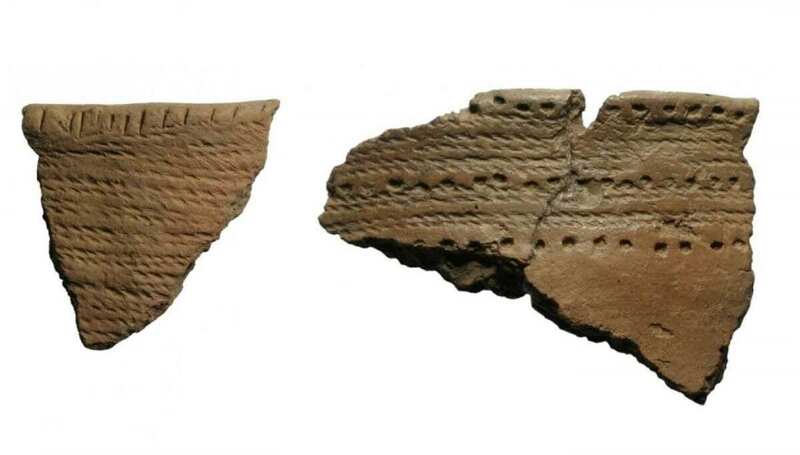 The study posits that skilled female artisans arrived in Sweden particularly from Estonia and Finland, as both the geochemical origin and cultural links of the imported pottery indicates a connection to the region. Cultural similarities in turn link the first Corded Ware communities in Finland and Estonia to the eastern part of the Bay of Finland, present day Russia. The exchange network also suggests that even during the Stone Age, the Baltic Sea was less an obstacle and more a connection between communities, attaching Finland to a broader European culture. The study examined clay pottery from 24 archaeological sites in Finland, Estonia and Sweden. The goal was to determine the geochemical composition and geological origin of Corded Ware pottery, i.e., where the clay came from. The project involved international and cross-disciplinary cooperation between the group of archaeologists from Finland, Sweden and Estonia and material physicists. Funded by the Academy of Finland, the research project was headed by Elisabeth Holmqvist-Sipilä, who works at the University of Helsinki’s archaeology laboratory. “International prehistoric phenomena may be apparent in everyday objects, such as dishware and the old pottery fragments crushed into the clay they were made with,” says Holmqvist-Sipilä.